Get started! 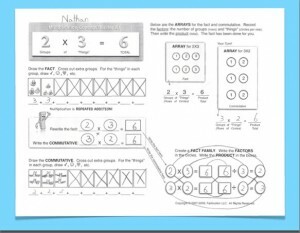 Introduce students to the concept of Multiplication, strategies, and vocabulary. 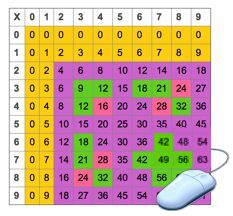 If you are teaching Multiplication facts to younger students, it is important to show this video before beginning Lesson 1. 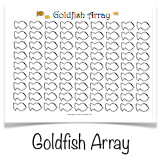 For older students, this lesson is optional. It would still be a good review for 4th and 5th graders, however. Note- This video will is scheduled to be updated during the 2013-2014 school year. Get a baseline from which to measure progress. 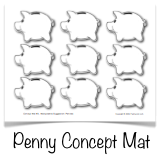 You can update this information regularly as students move through the Factivation!® program. 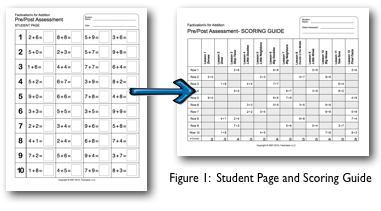 For older students, use the Pre-Assessment Tool to identify fact gaps and prescribe needed lessons. 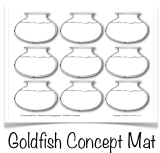 Project and discuss the pages that follow or print them for display in the classroom. 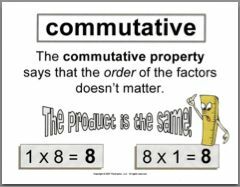 Establish operational understanding: Create models using manipulatives. 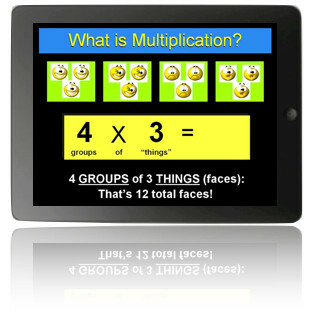 Before beginning Lesson 1, give students hands-on practice building Multiplication facts. 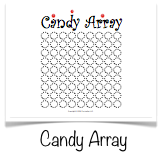 The Concept Mats and Arrays below can be printed and reused with each lesson. 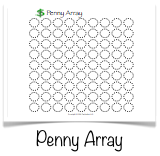 Using simple manipulatives, students can create both models and arrays to illustrate facts. 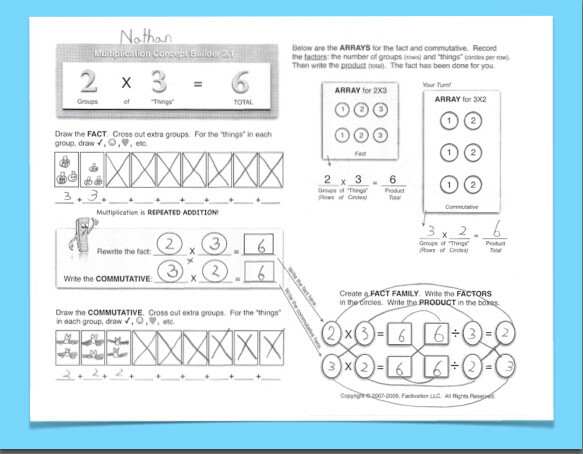 Review the concept of Multiplication using the Concept Builders below.